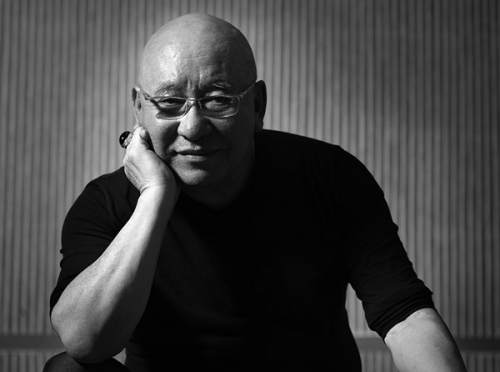 Park Seo-Bo is widely recognised as the godfather of modern Korean art. The artist played an instrumental role in nurturing the careers of emerging artists and for his own contribution to the formation of Dansaekhwa—the Korean monochromatic painting movement that emerged in the mid-1970s. In the spring of 2018, Park was recognised with the Asia Arts Game Changer Award, joining the ranks of past honourees such as Cai Guo-Qiang, Hiroshi Sugimoto, and his contemporary Lee Ufan. Born in 1931, Park's adolescent years coincided with the end of the Japanese colonial era. As a student, his artistic practice was affected by the devastation of the Korean War, which led him to work in found materials. Park learned to use scrap metal as frames for his canvases and leftover supplies scrounged from his art classes at Hongik University. His firsthand experiences of war became the fodder for 'Primordialis', a dark and moody series dating to the 1960s. In 1961, Park co-founded the Korea Fine Arts Association—the same year that the artist received a UNESCO scholarship to study in Paris. During this period, Park became further acquainted with the principles of Art Informel, a movement that had great influence on the developments of Dansaekhwa. Upon his return to Korea in 1962, Park became a professor at his alma mater until 1966, and in 1967 he began the first of what has since become his best-known series: 'Ecriture'. These neutral-hued expanses are created by applying gesso or paint to the canvas, which Park manipulates when still wet to carve rivulets in the painted surface. Park's tireless experimentation has also involved traditional Korean paper, hanji, which he began incorporating in his works in the 1980s to enrich his monochromatic canvases with further texture. In Shanghai, a selection of these textural works will be included in the Powerlong Museum's exhibition Korean Abstract Art: Kim Whanki and Dansaekhwa (8 November 2018–2 March 2019), the first comprehensive exhibition of Korean abstract art to be held in China.